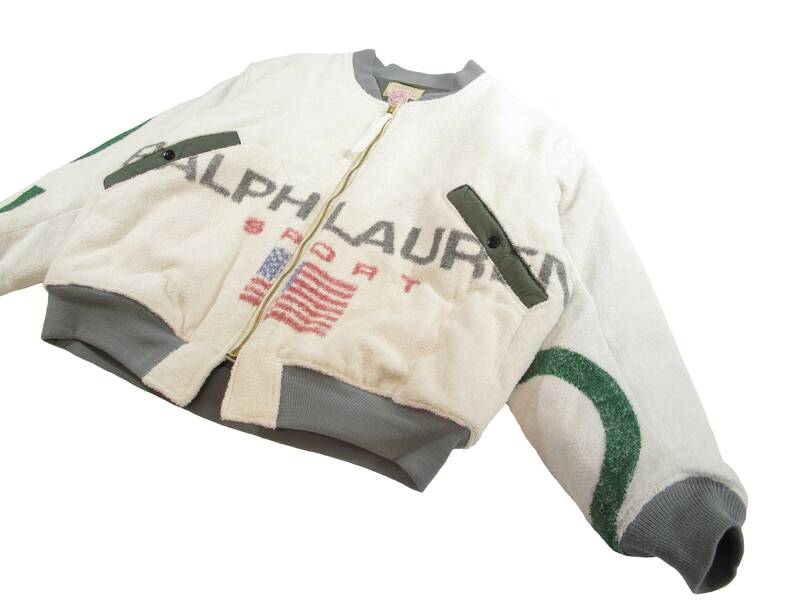 two cotton terry cloth Ralph Lauren beach towels wear used to make this flight jacket. 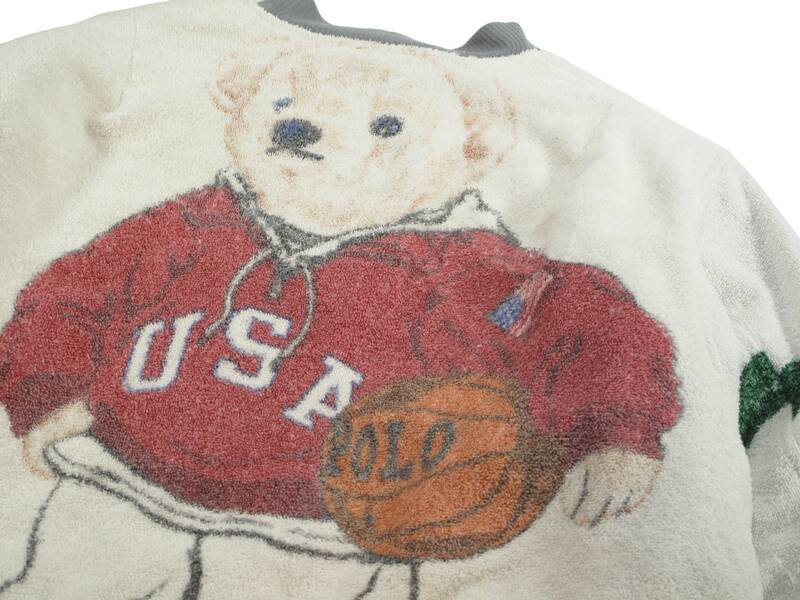 large print of the Polo bear with a basket ball on the back. 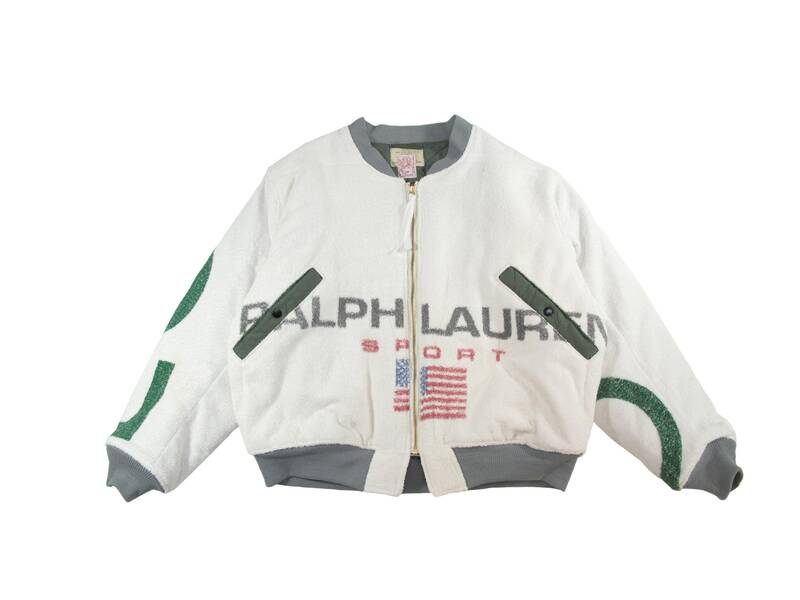 Ralph Lauren sport lettering on the front. sleeves are made from a towel the had large green letters reading POLO. 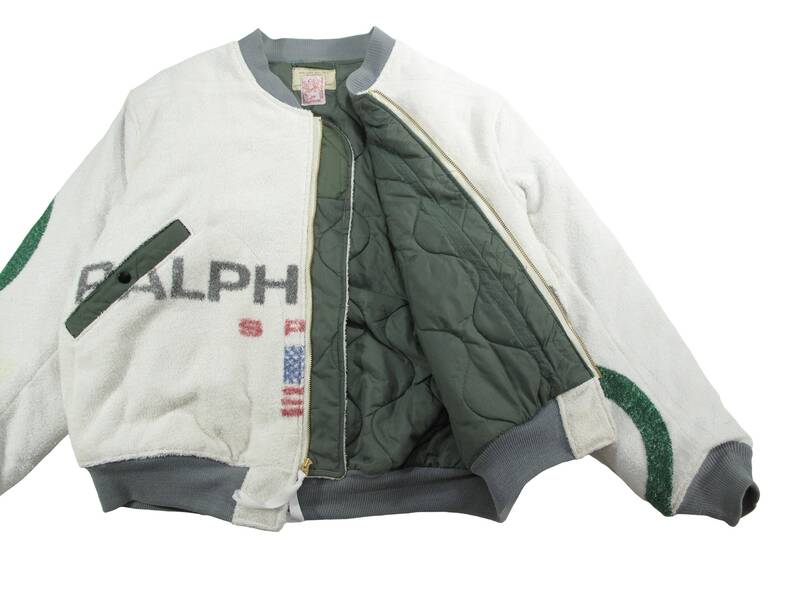 vintage military flight suit quilted lining on the inside. slash pockets on the front with snapping closure. 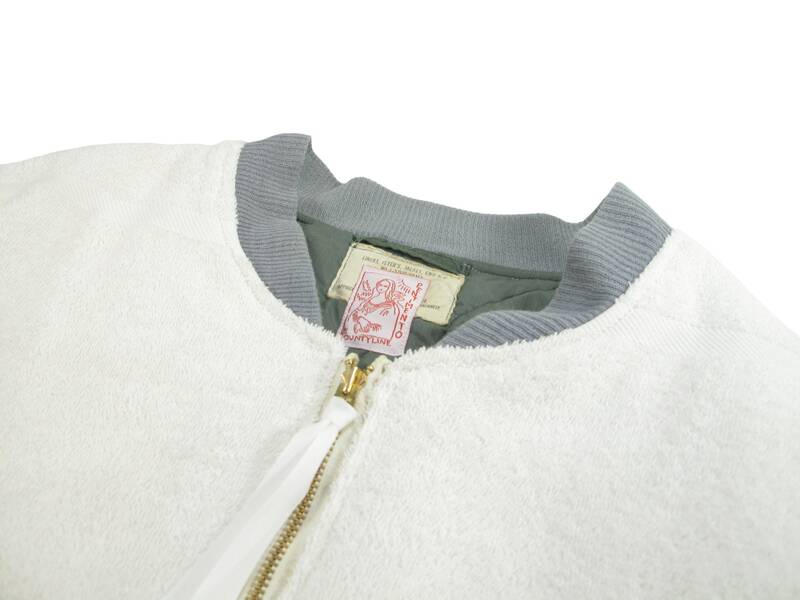 vintage flight jacket elastic on the cuffs, collar and waist. vintage talon zipper. 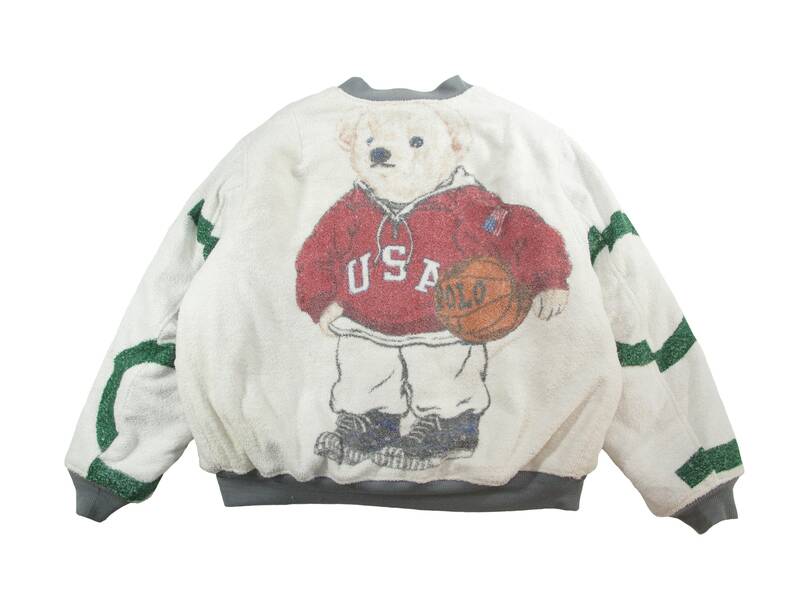 fits like a mens size large/ XL.